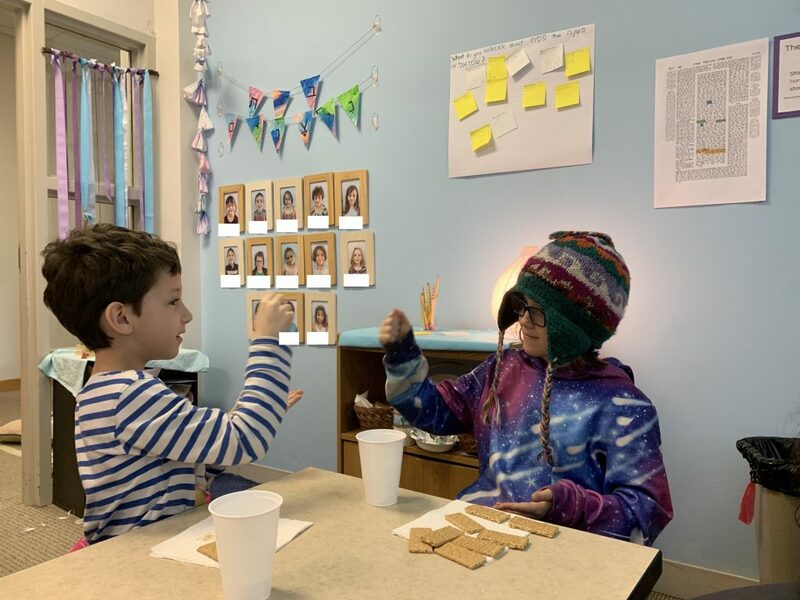 Over the last two weeks Nitzanim (“Buds” for 1st grade) children have been wrestling with some really tough stuff. They had to keep straight the Mishnah, which says to tell the story at the seder from the “hard stuff” to the “awesome stuff” (Mishnah Pesachim 10:4). Then they had to keep track of two different rabbinic opinions from the Talmud (Babylonian Talmud, Tractate Pesachim 116a). Shmuel says that the “hard stuff” was that the Israelites were slaves and the “awesome stuff” was that Adonai freed them with strength and might. On the other hand, Rav (Abba Arika) said that the “hard stuff” was that the Israelites were idol worshippers and that the “awesome stuff” was that the Israelites made Adonai their God. Woah… that’s a lot to remember. 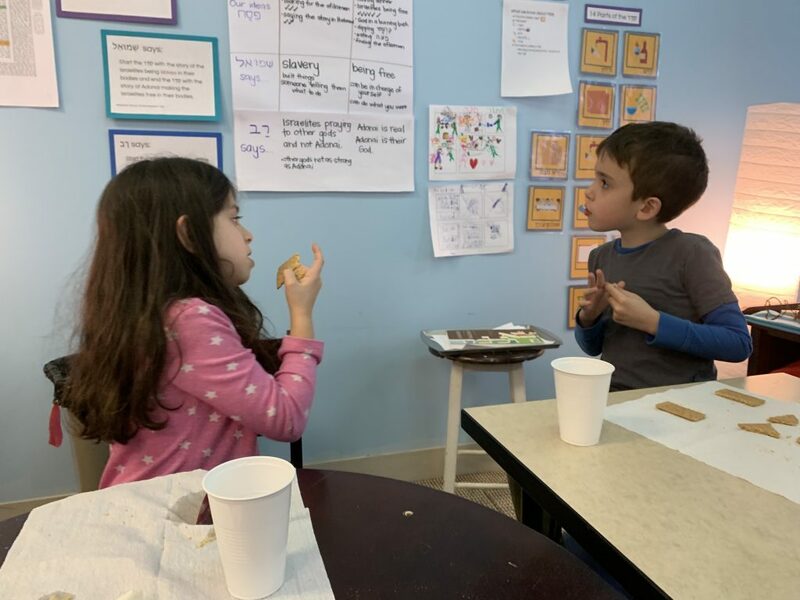 Today, as if remembering the Mishnah and Gemara wasn’t enough, I asked the children to consider both perspectives from the Talmud at the same time. It’s a difficult ask. Is there something the same or different about Rav and Shmuel’s stories? Which would you tell at your seder? Child 1: I would tell the Rav story at my seder because my family doesn’t usually change their minds so I want them to (know) they don’t only have to do that thing. They can change their mind. Child 3: They (the Israelites) weren’t praying to God, so God let them be slaves. Then, they (the Israelites) started praying to God and God made them not slaves. Child 4: God helped them (the Israelites) because God liked them praying to him. Wow, Nitzanim! I can’t wait to hear how your ideas deepen and shift as you continue to consider these Talmudic ideas.